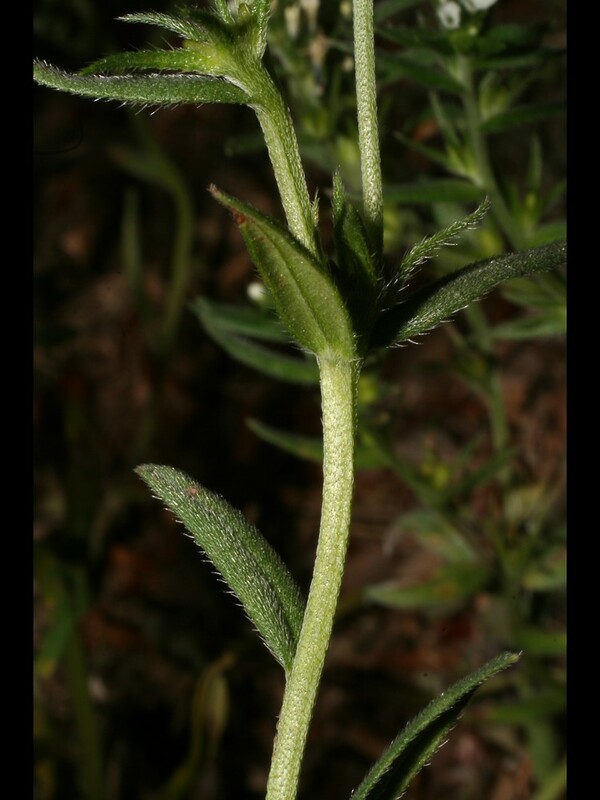 Corn-gromwell is a Eurasian native that is invasive across most of North America including all New England states. 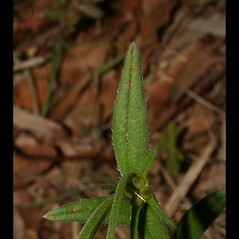 An infusion of the leaves is traditionally used as a diuretic. 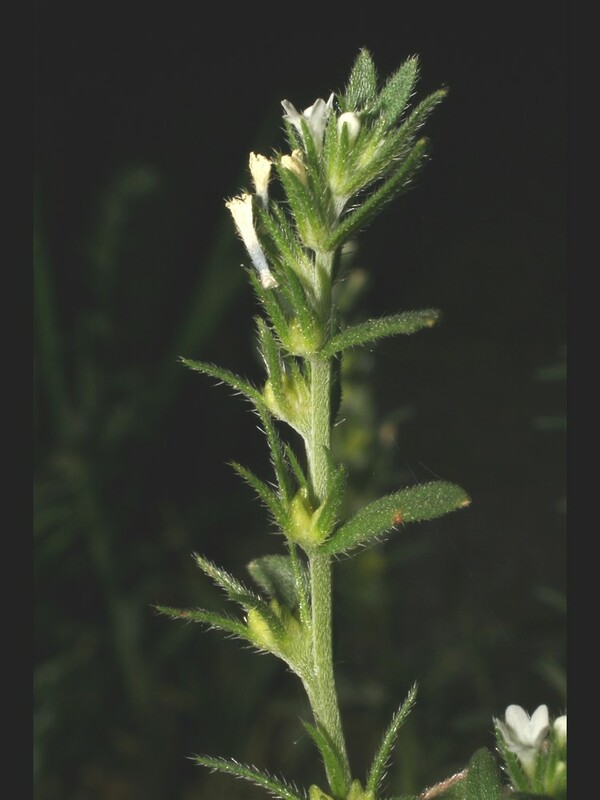 The seeds are a good source of long chain omega-3 polyunsaturated fatty acids, and corn-gromwell is being developed as an oilseed crop. 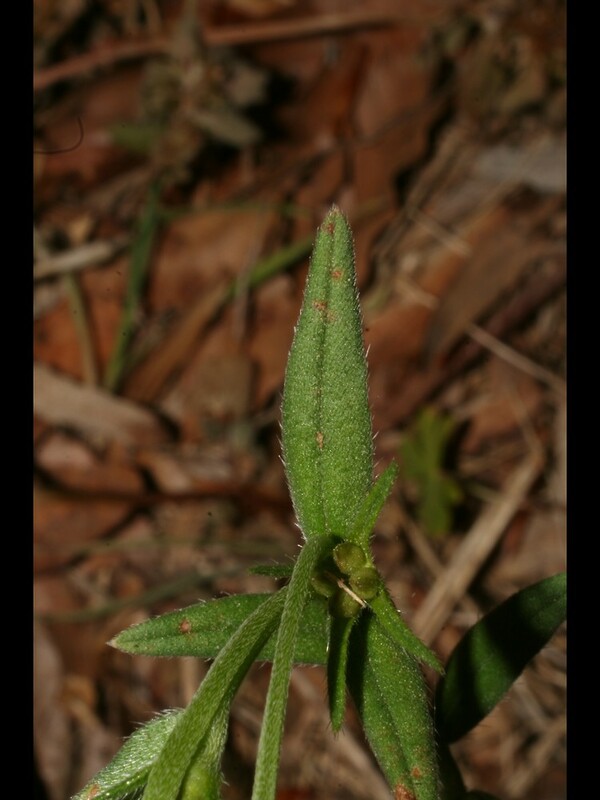 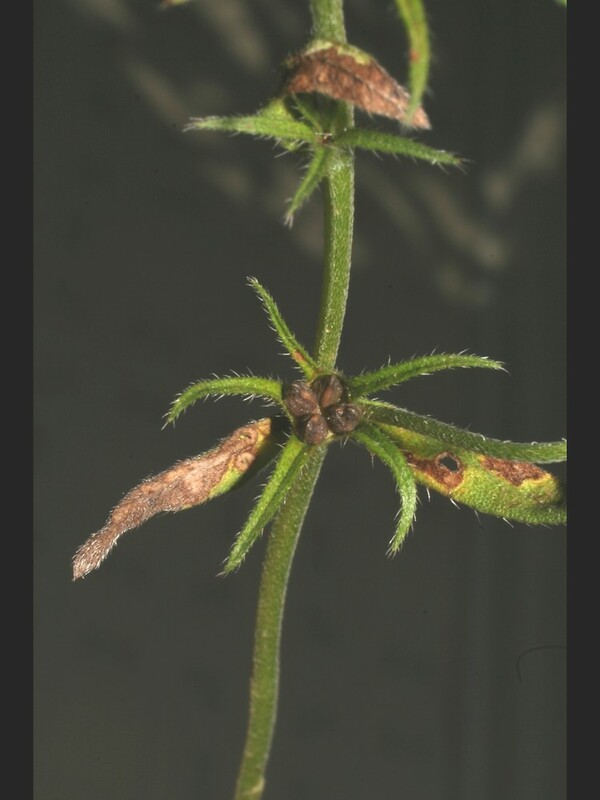 leaves with 2 or 3 conspicuous lateral veins, corolla 4-5 mm long, and plants perennial (vs. B. arvensis, with leaves without conspicuous lateral veins, corolla 5-8 mm long, and plants usually annual). 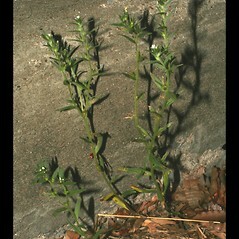 Our subpecies is Buglossoides arvensis (L.) I.M. 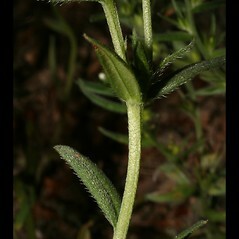 Johnson ssp. 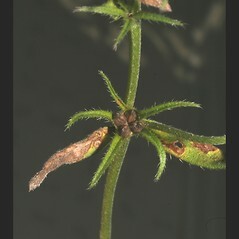 arvensis. 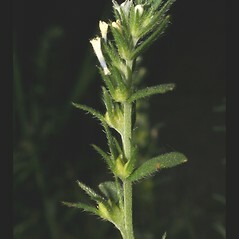 corn-gromwell. 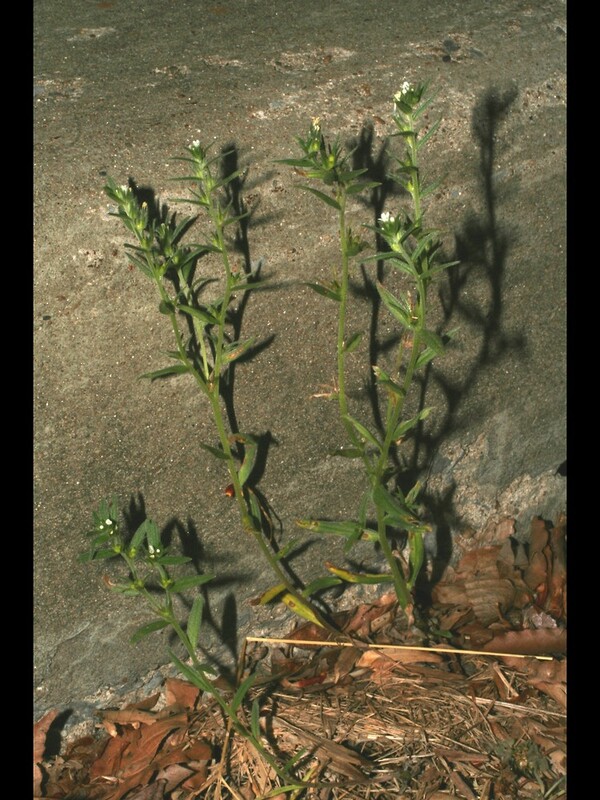 Lithospermum arvense L. • CT, MA, ME, NH, RI, VT. Fields, roadsides, railroads, waste areas.